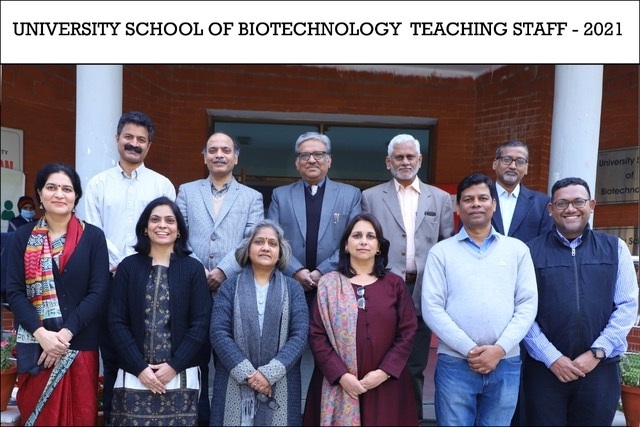 Vision: To foster excellence in biotechnology education research, and industry for sustainable development through global thought and local action. 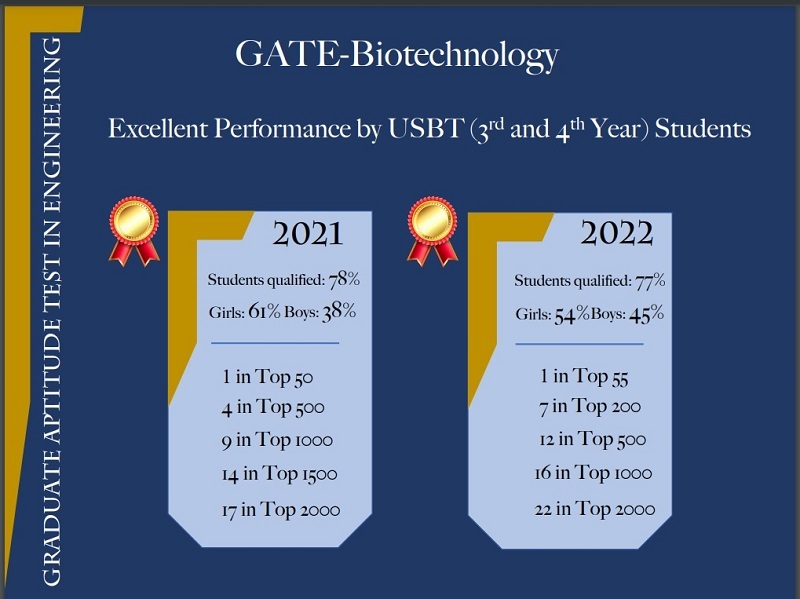 Mission: To generate globally competitive manpower and knowledge base for biotechnology industry, education, research and development based on national values, social awareness and conscience. 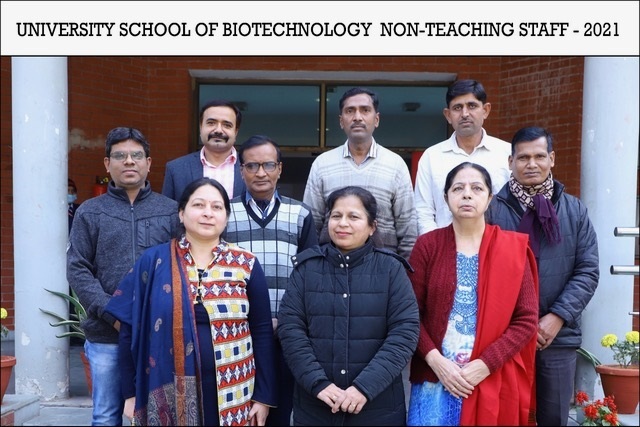 USBT was founded in 1999 to impart learner-oriented education, research, demonstration and dissemination of knowledge in biotechnogy to the needs of a sustainable society. 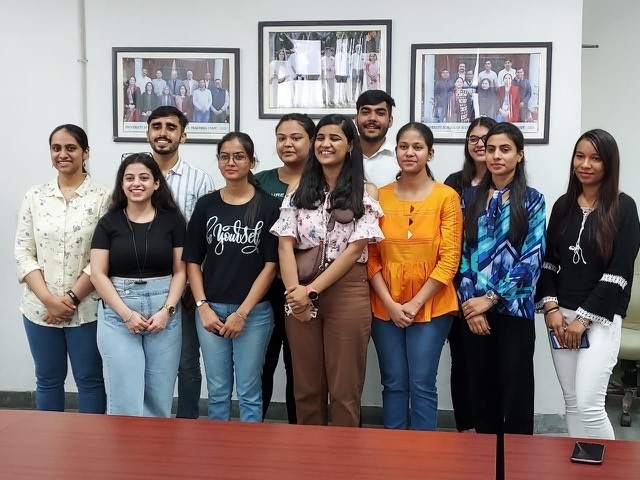 Advanced contemporary research is an important activity of the USBT that has led to 200 research papers in last seven years - of which more than 100 are in international journals. Presently, there are 25 students pursuing Ph. 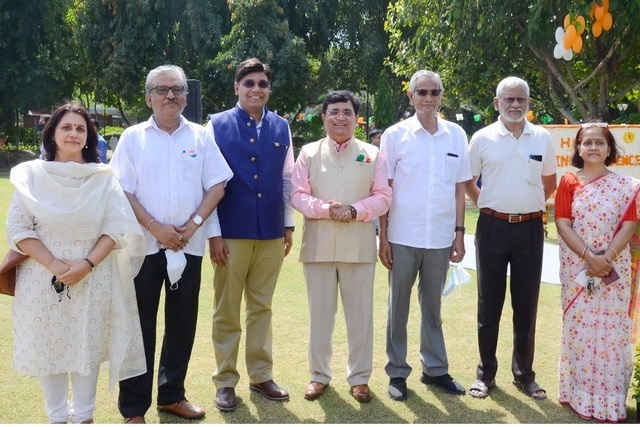 D under the guidance of faculty members. Our research areas span various disciplines of biotechnology like plant biotechnology, structural and functional genomics and proteomics, microbial & plant based bioactives, biotic and abiotic stress signaling, development and metabolic regulation, animal biotechnology, immunology and molecular biology of human pathogens and disease, microbial biotechnology, food biotechnology, pharmaceutical biotechnology, biosensors, & bioinformatics, etc.